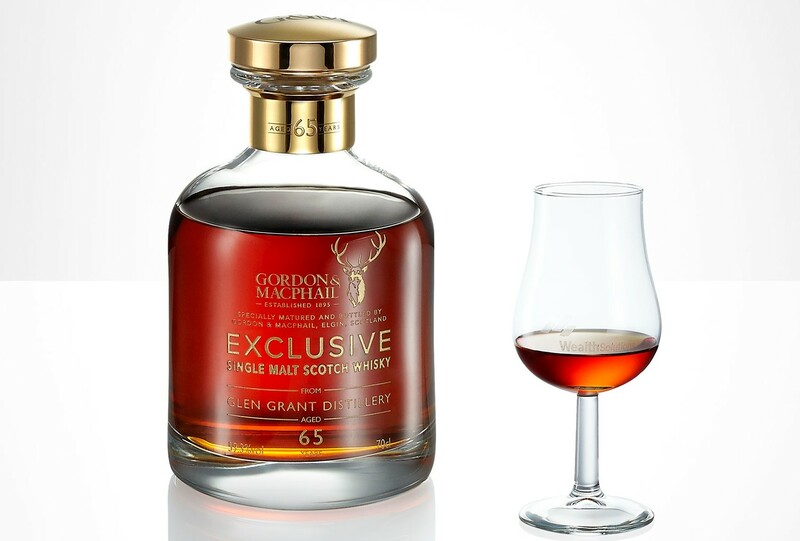 In 2015, Wealth Solutions and Gordon & MacPhail released a limited edition Glen Grant 1950. Distilled in 1950, cask number 2747 was bottled 65 years later at cask strength, at natural colour and is non-chill-filtered. In the search of another great beverage, we visited Gordon & MacPhail yet again. We have managed to find a cask of a really old and exquisite whisky in their legendary, highly-protected warehouses. However, in case of this beverage, it was not only the age and quality that provided its uniqueness. The cask selected b is a truly one-of-a-kind beverage, which despite aging for 65 years was still characterised by a high alcohol volume of 59.3%. It is a rare phenomenon and each such beverage is a true gem on the alcoholic beverage market. We have decided to share this precious liquid with our clients and bottle it after its 65th birthday. 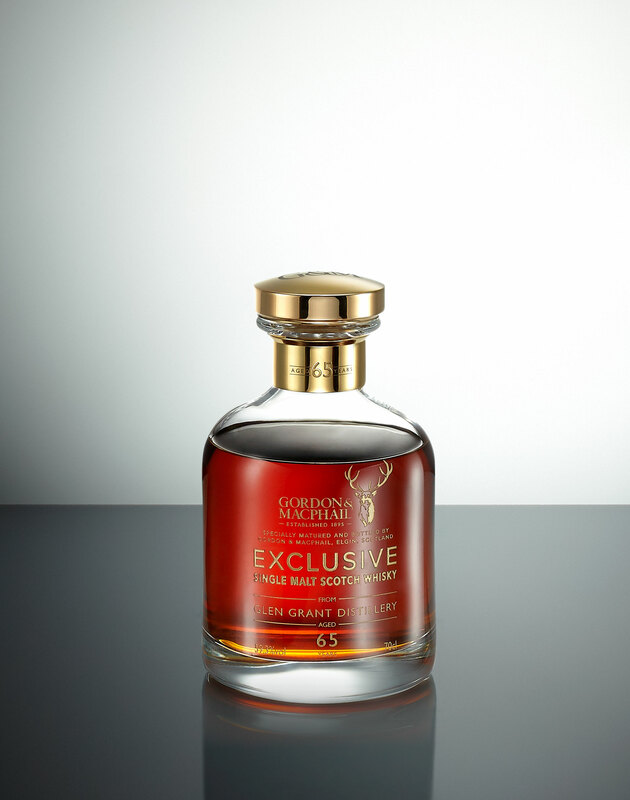 Cask number 2747 was filled with a fresh distillate at the Glan Grant distillery in 1950. In the same year, there was the premiere of Disney’s Cinderella, SEAT was established in Spain, Robert Schumann announced the plan for the European Coal and Steel Community and there were first ever Formula One World Championships. 65 years have passed. For this whole time, the whisky was aging in a cask previously filled with sherry and gaining its unique profile. Finally, thanks to Gordon & MacPhail, it was poured into 218 bottles to be appreciated by collectors and whisky enthusiasts. Over time, whisky loses its strength and volume while aging in casks. This is due to a slow evaporation process typical for all liquids. The part of whisky lost through evaporation is called the “Angels’ Share”. This process is irreversible and causes whisky that ages for many decades to contain rather low levels of alcohol. Sometimes the level falls below the legally required 40%. However, there are some exceptions and a cask kept in favourable conditions can retain the strength and volume of the distillate. Yet, this happens rather rarely. Glen Grant 1950 is an example of this unique process. Its alcohol volume is still extremely high despite the 65-year aging process. This is a real treat for collectors, especially as it has a truly unique aroma profile and rich flavour. This unparalleled whisky certainly deserves a unique setting. To celebrate the liquor’s market debut, Charles MacLean, one of the world’s greatest whisky authorities, wrote a book presenting the story behind the distillery and the project. 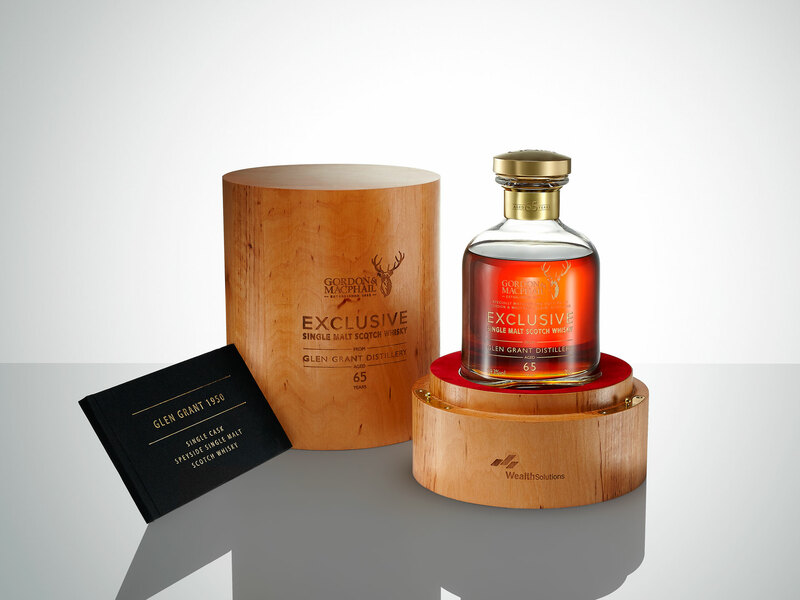 A copy of the publication will be offered with each of the 218 numbered Glen Grant 1950 65 YO bottles that will be packed in a purpose-designed oak box. 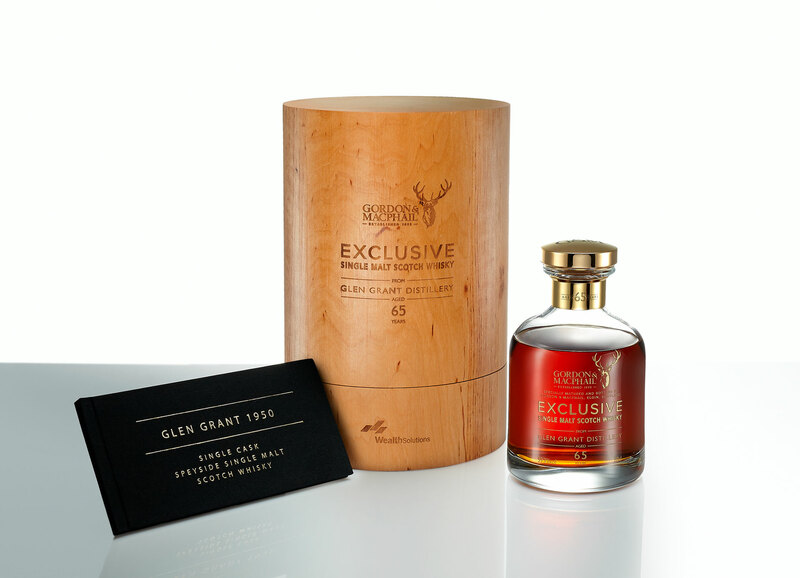 Its unique character, the limited number of bottles available, age and exclusive packaging make the Glen Grant 1950 65 YO whisky much more than a unique collector’s item.